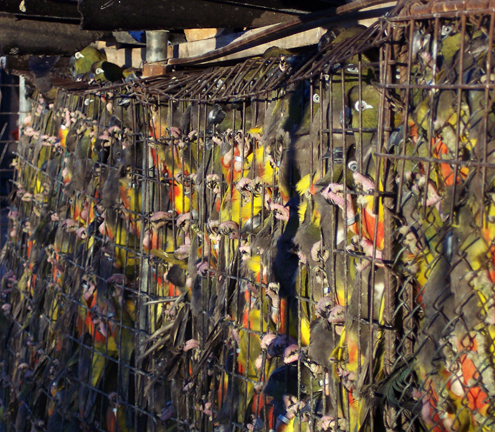 Caption: Blue-fronted Amazons (Amazona aestiva) harvested in Argentina for the international market. 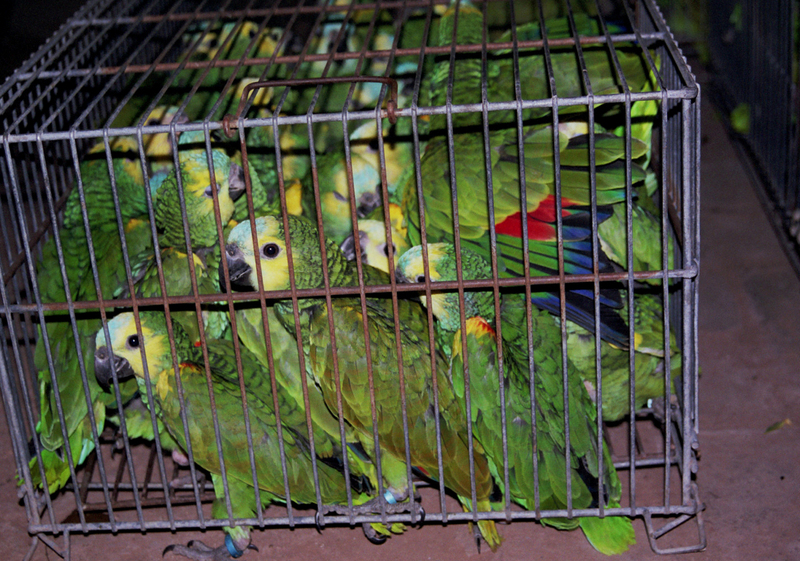 Caption: Patagonian Conures (Cyanoliseus patagonus) trapped in Argentina, packed in cramped cages prior to export. These highly unnatural social environments cause undue stress, frequent mortality, and encourage outbreaks of infectious disease. 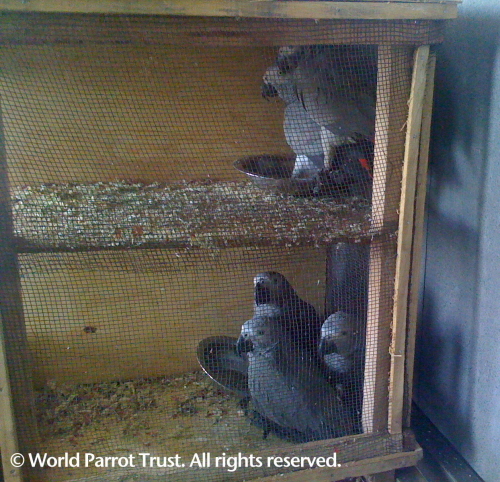 Caption: Recently confiscated Grey Parrots (Psittacus erithacus) in shipping container at Nairobi Airport, Kenya. 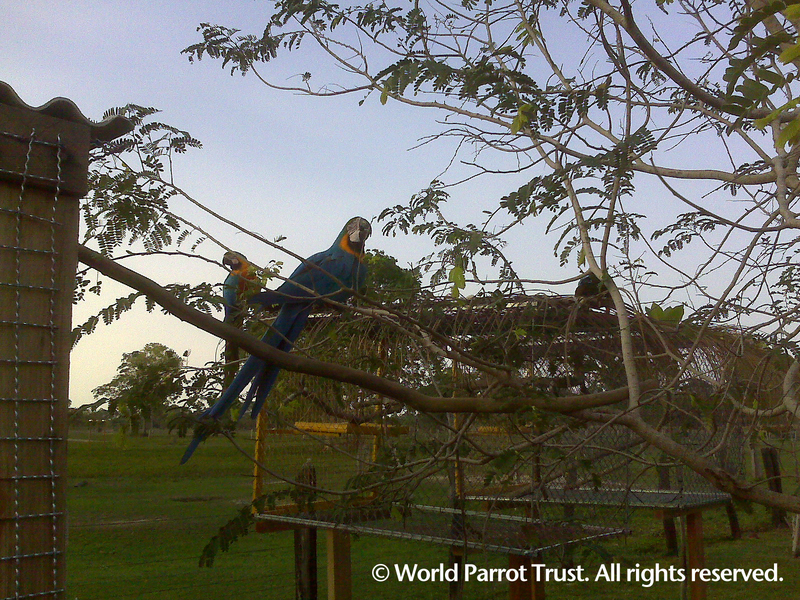 Caption: Blue and Gold Macaws (Ara ararauna) recent released to Pantanal region, Brazil after 2 years of rehabilitation. 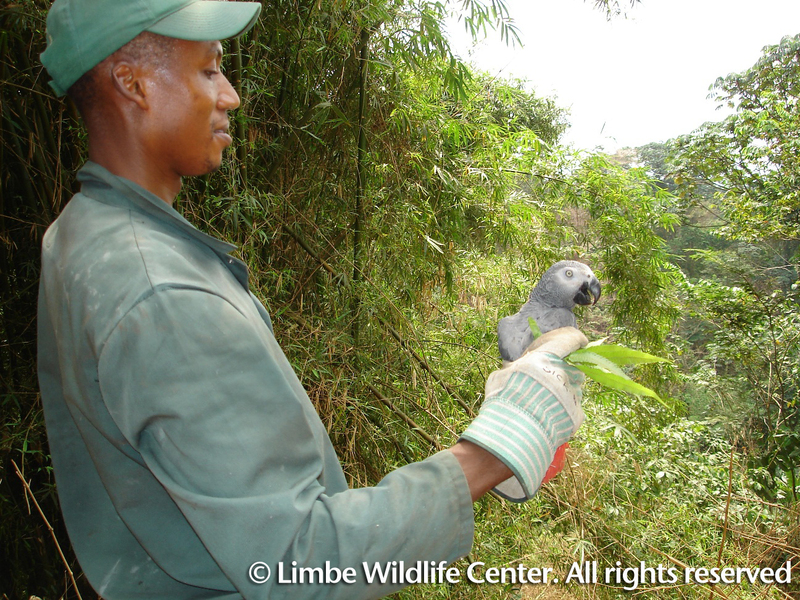 Caption: Grey Parrot (Psittacus erithacus) release to wild. 1,200 Grey parrots were found in an illegal shipment in Cameroon in the winter of 2007.